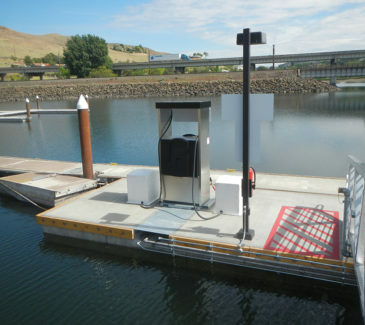 The Port of Arlington contracted AEC to construct a new marine fuel dispensing station at the Arlington Marina in Gilliam County, OR. 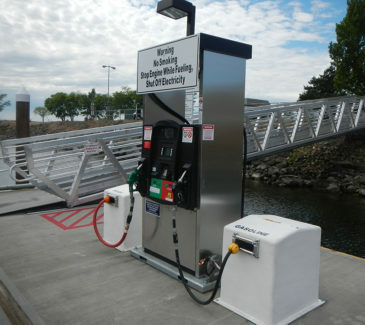 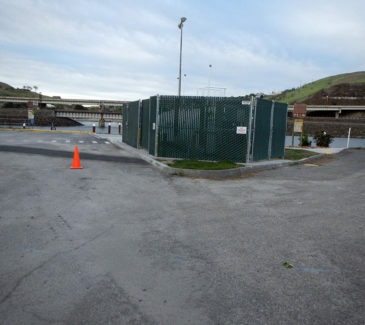 AEC provided and installed the marine fuel system, including a 4,000-gallon split product tank, reinforced CIP concrete tank pad with protective enclosure, underground and float mounted utility lines, fuel dispensing system, dry standpipe fire protection system, power pedestals, CIP concrete gangway abutment, concrete pad and sidewalks, CIP curbing, AC trench patching and pavement markings. 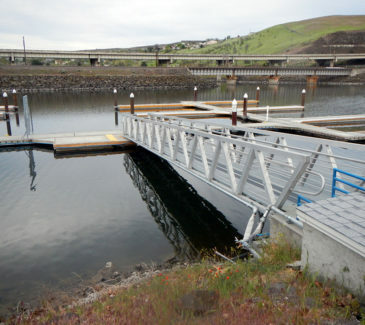 The work also included the installation of the owner-furnished 5’ x 50’ aluminum gangway and 12’ x 30’ concrete float per the project specifications and drawings.